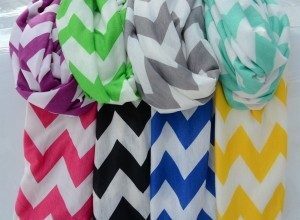 Jersey Knit Chevron Infinity Scarves Only $5.99! You are here: Home / Great Deals / Jersey Knit Chevron Infinity Scarves Only $5.99! Choose from the hottest color trends this season with this sale at Jane! Jersey Knit Chevron Infinity Scarves Only $5.99! Perfect for layering with a solid tank or tee or your favorite long sweater for a great pop of color and style this winter!